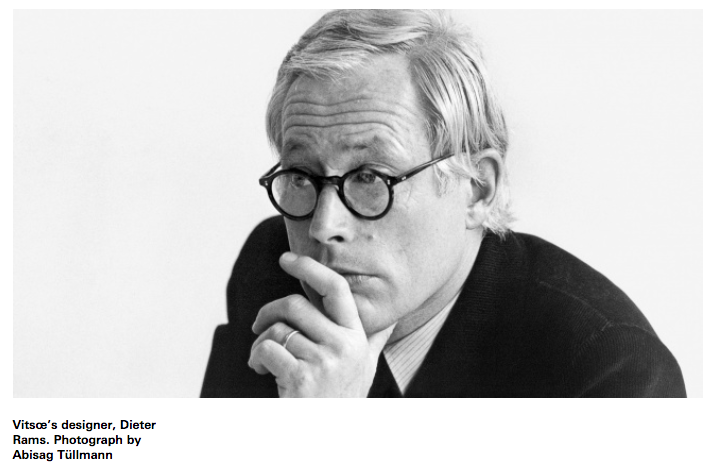 With a nod to Braun legend Dieter Rams–whose 10 principles for good design remain indispensable, though somewhat narrowly concerned with the particulars of industrial design–here are 10 new principles for good design. 2017 was a year of reckoning for the design community. UX became a weapon, AI posed countless new challenges, and debate erupted over once rock-solid design paradigms. Even some of the industry’s leading lights admitted their revolutionary inventions have serious, unintended consequences. The upside: Designers thrive on questioning convention–on unearthing solutions to seemingly intractable problems. If 2017 revealed anything, it’s that good design has never mattered more; it’s just the parameters of “good design” that have changed. Good design should be transparent enough to empower users–to help them make informed decisions about their privacy, their browsing habits, and more–without overwhelming them. Another problem with user-friendly design: In focusing on the immediate needs of users, it often fails to consider long-term consequences. Take Facebook’s echo chamber, Airbnb’s deleterious impact on affordable housing, or the smartphone, which is literally changing people’s brains and has spawned an entire generation of teenage automatons. For the past 20 years, tech has embraced a “move fast and break things” mantra. That was fine when software had a relatively small impact on the world. But today, it shapes nearly every aspect of our lives, from what we read to whom we date to how we spend money–and it’s largely optimized to benefit corporations, not users. The stakes have changed, the methods haven’t. “If you work in software or design… you also work in politics.” That was British designer Richard Pope writing at the end of 2016 after the surprise election of Donald Trump, but the point remains relevant more than a year later: Politics is about the distribution of power, and few things distribute power more broadly and rapidly in the 21st century than code and design. Facebook’s role in shaping the outcome of the presidential election is one obvious example. But you can find subtler examples all over the place, from ads targeting men for higher paying jobs to predictive policing software that indicts black people more than white people. Good design is upfront about its potential to shape the political landscape. Systems thinking is a lofty term for a relatively simple idea: Everything is connected, and designers and developers should strategize accordingly. Systems thinking has taken on even greater import over the past few years, as the world becomes more complex and intertwined. Consider that we generate 2.5 quintillion bytes of data a year, more than 90% of which was created in just the past two years. Today, nearly half of all adults own a smartphone; by 2020, that figure is expected to climb to 80%. In his “2017 Design in Tech Report,” author John Maeda anointed writing as design’s newest unicorn skill. It’s easy to see why. With the rise of chatbots and conversational UI, writing is often the primary interface through which users interact with a product or service. (Siri’s dad jokes had to be written by someone.) But even designers who don’t work on interface copy should be able to articulate themselves clearly. The better their writing, the better their chances of selling an idea. The days of brands peddling a single identity are gone. The Emotional Intelligence Agency, a U.K.-based branding firm, analyzed the brands that more than 5,000 people said they sought out. The results were surprisingly consistent. Top brands, from Victoria’s Secret to Taco Bell, had four seemingly disparate traits: humor, usefulness, beauty, and inspiration. The takeaway? In an increasingly complex retail landscape, brands must adopt multifaceted personalities to connect emotionally with consumers. Ideo studied more than 100 companies in an attempt to quantify innovation and came away with six key insights. Among them? Challenging the status quo has real business benefits. According to the study, chances of a failed product launch decreased by 16.67% when people felt comfortable acting with autonomy. Historically, computers have been designed for human users. But as machines grow smarter and artificial intelligence takes root in people’s daily lives, designers will have to build for a new type of user: the human-machine hybrid. So suggests Normative CEO Matthew Milan, who argues that hybrids can do more than any person or computer could accomplish alone, like navigate traffic or compete in superpowered chess games. Looking ahead, good design will help people trust a system–even when they know they don’t have much agency within it.